Red Dead Online , the multiplayer component of Red Dead Redemption 2, will see its beta release this week. The beta will begin its roll out on Tuesday, Nov. 27, for those who purchased the Ultimate Edition of the game. Those who played the game on its release day will be able to play on Wednesday, Nov. 28. On Thursday, Nov. 29, those who played the game within the first three days of its release will attain access to the beta. Finally, for everyone else who plays the game, the beta will be accessible on Friday, Nov. 30. The beta will be free for all who own the game. 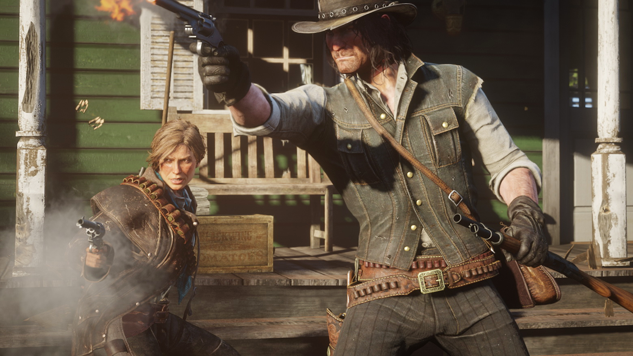 The developers hope to let players keep their progress once the full version of Red Dead Online is released. In Red Dead Online, you’ll be able to customize your online characters and tailor abilities to fit your play style. You will be able to have a team of up to eight players with whom you can go out hunting, fishing, battling rival gangs and fighting other players.